Over two hundred voluntary and community groups in Redbridge work to improve the health of their service users and members. 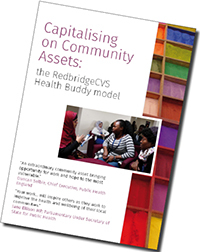 RedbridgeCVS's Health Partnerships Officer works to enhance relationships between those groups and the NHS in the borough. Ensure local NHS commissioners can use voluntary groups to gather information about the needs of local people, and that voluntary groups are effectively used to disseminate key information from the NHS to local communities. We have produced four editions of "Our Health in Our Hands", a report which highlights the health and care services provided by local voluntary organisations. 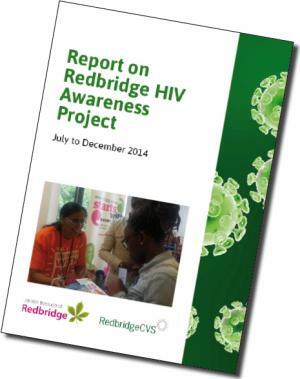 From July to December 2014 we ran an HIV Awareness Project in Redbridge: a report on the project is available. 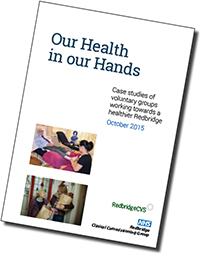 In 2013 we produced a report for Redbridge CCG about local people's use of A&E services. In July 2016 we produced a report about Health Buddies, our successful way of working which employs local people to deliver health messages to their communities..